The state police may need federal approval to use the toy for aerial views. AUGUSTA — Maine State Police believe that a toy drone they bought in January would be a “great reconnaissance tool,” according to internal records. But federal regulations suggest it would be illegal for police to deploy it. Documents published Friday by MuckRock, an open-government website, show that Sgt. 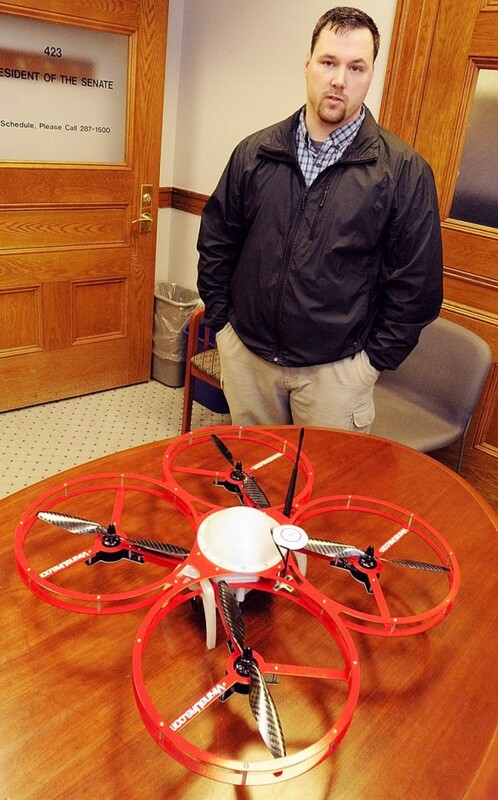 Nicholas Grass of the Maine State Police’s training troop purchased a Parrot AR.Drone 2.0 for $299.99 and an extra battery for $39.99, costing the state $364.93 after shipping. Also, the memo says, the drone helps the “safety of team members.” It’s also “cheap,” and if “it gets broken or damaged,” the force can get a new one or fix it. The device’s drawbacks include the fact that it offers a mere 15 minutes of flying time on one battery, with batteries taking an hour to recharge. The memo also says wind affects the drone, so heavy winds could keep it from flying. Another negative: “It’s a ‘toy,’ which probably wasn’t made to be used for Tactical missions (to that I say, ‘why not?’),” the memo reads. MuckRock obtained the documents through a Freedom of Access request to state police. Federal Aviation Administration guidelines say hobbyists can fly small, unmanned airplanes below an altitude of 400 feet without its approval. But if a craft is owned by a public agency, federal credentials must be provided, according to the FAA’s website. Maine State Police spokesman Stephen McCausland said he wasn’t aware of any legal issues with the state flying the drone below 400 feet. “We obviously will abide by any federal regulations and we will easily clarify that next week,” he said in an interview Friday. The Portland Press Herald first reported the drone’s purchase on Tuesday, when a committee of the Maine Legislature held a public hearing on a bill sponsored by Sen. John Patrick, D-Rumford, that would require police to get warrants in most cases before using drones. Lt. Col. Raymond Bessette, deputy chief of the state police, said Tuesday that the drone was purchased out of “curiosity” and will be used for training purposes until the department learns how it can be deployed. “We definitely would not want to deploy anything without a clear policy direction,” he said. Shenna Bellows, executive director of the American Civil Liberties Union of Maine, whose national organization is leading a campaign in many states to tamp down use of drones, said Friday that the state’s acquisition of a drone highlights a need to regulate them quickly. Bellows said the “reconnaissance” language in the state police memo is concerning. McCausland said he didn’t know who wrote the pros-and-cons memo in the document. Calls to Bessette and Grass, who bought the drone, weren’t returned Friday. According to Parrot’s website, the AR.Drone 2.0 can record high-definition video, be controlled from as far as 165 feet away and be controlled by tilts from a smartphone or a tablet. But McCausland said reconnaissance isn’t necessarily surveillance as many think of it – it could mean searching for a missing person or getting a point of view on a hostage situation – if it’s determined that police can use drones.